By openly campaigning for her husband, Mir-Hossein Mousavi, in last year's presidential election, Rahnavard came to represent the emergence of Iranian women as a powerful political force. 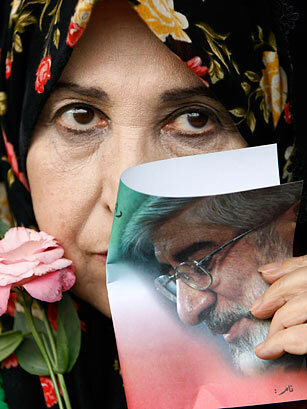 Her charisma helped draw young people to Mousavi's camp. Inevitably, the local media dubbed her "the Iranian Michelle Obama."